Emory Veterinary Clinic is proud to serve the clients in the Emory, Texas area for everything pet related. Our veterinary clinic and animal hospital is run by Dr. Mike Andrews and Dr. Samantha Gibbs, who are licensed, experienced veterinarians. Our team is committed to educating our clients in how to keep your pets healthy year round, with good nutrition and exercise. Emory Veterinary Clinic stays on top of the latest advances in veterinarian technology and above all, remembers that all animals and pets need to be treated with loving care in every check-up, procedure, or surgery. 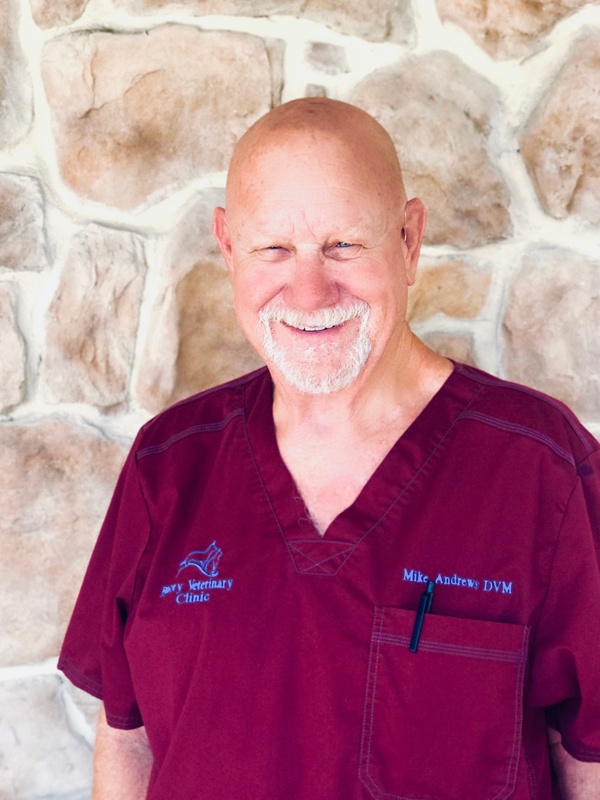 Dr. Andrews graduated from Oklahoma State University School of Veterinary Medicine in 1970 and purchased Emory Veterinary Clinic in January of 2013. Previously residing in Como Texas, he and his perfect bride, Pam, have recently purchased a home right off the Pacific Ocean coast in Oxnard, California, where they enjoy plenty of kayaking and beach adventures together (Plus their standard poodle, Miss Daisy Mae) Dr. Andrews has been practicing veterinary medicine for just short of 50 years and still loves it just as much as he did when he started. He is passionate about the pets and most importantly the community he serves here in Emory. 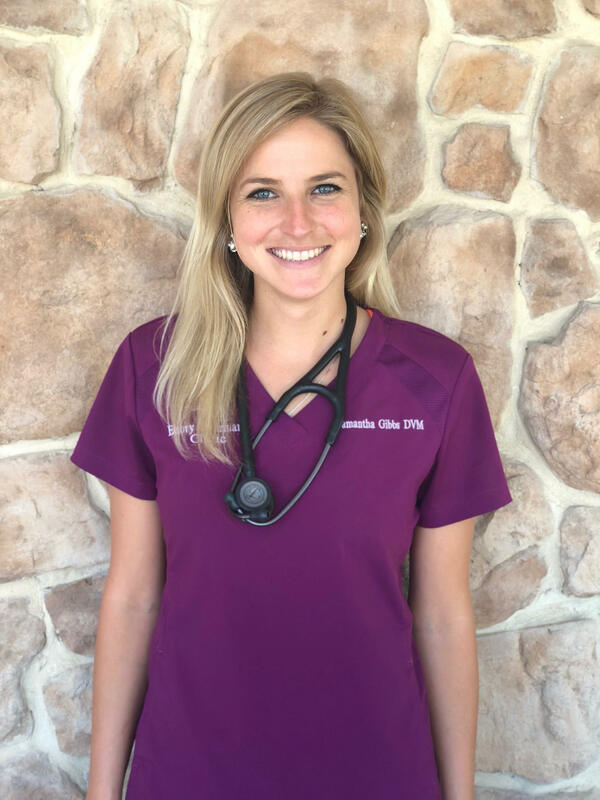 Dr. Gibbs graduated from Oklahoma State University, College of Veterinary Medicine, in May of 2018. 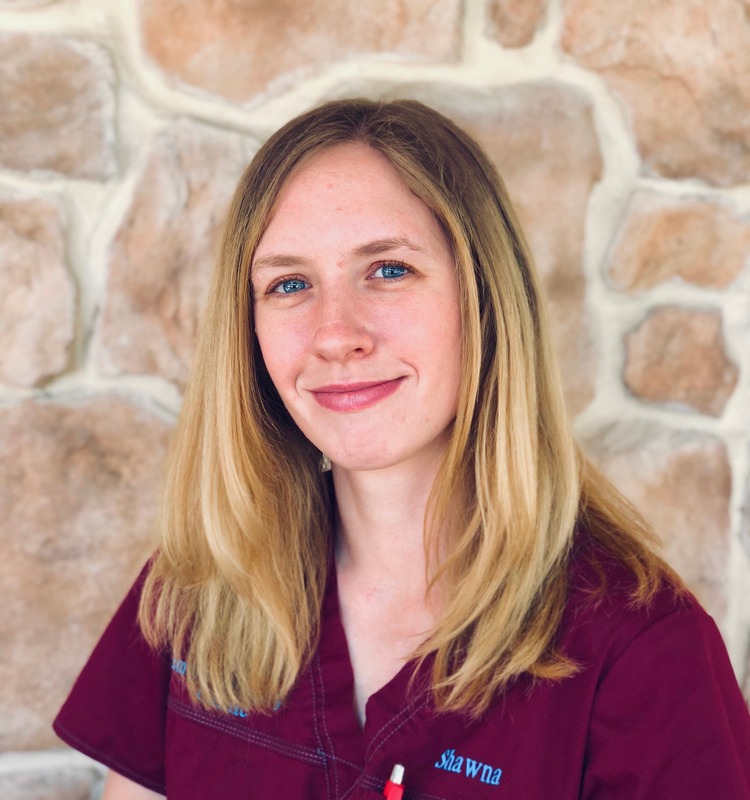 Originally from Colleyville Texas, she has been a veterinary technician since high school and genuinely loves other people’s pets just as much as she loves her own. Dr. Gibbs was drawn to practice in Emory Texas because of her deep desire to serve in an agriculture community that she can plant roots in and call home! At the clinic she is very passionate about prevention of disease, appropriate nutrition, osteoarthritis management, and the relief of pain and suffering. All of her free time is spent with her boyfriend, Matthew Herman and their two Labradors; Reed a decorated hunting retriever, and Gauge their cuddle-bug. Dr Gibbs’ hobbies outside of veterinary medicine include any type of hunting, hiking, tennis playing, and all outdoor activities. Beau serves as our practice manager at Emory! 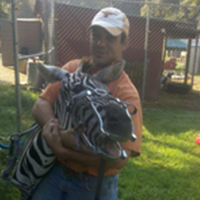 He has worked in animal care and training his entire career. His interests in the veterinary field beyond business, include surgery, serving as our anesthesiologist, dentistry, emergency/critical care, and diabetes management. As a diabetic himself, Beau is very passionate about teaching people about diabetes and treating their diabetic pets. Beau lives in Emory with his beautiful wife and 3 boys. The family enjoys fishing, camping, and anything else that seems fun at the time. Meet Miss Lexi Maxwell! Lexi is twenty-one years young and has been a part of the EVC family for 4 years! 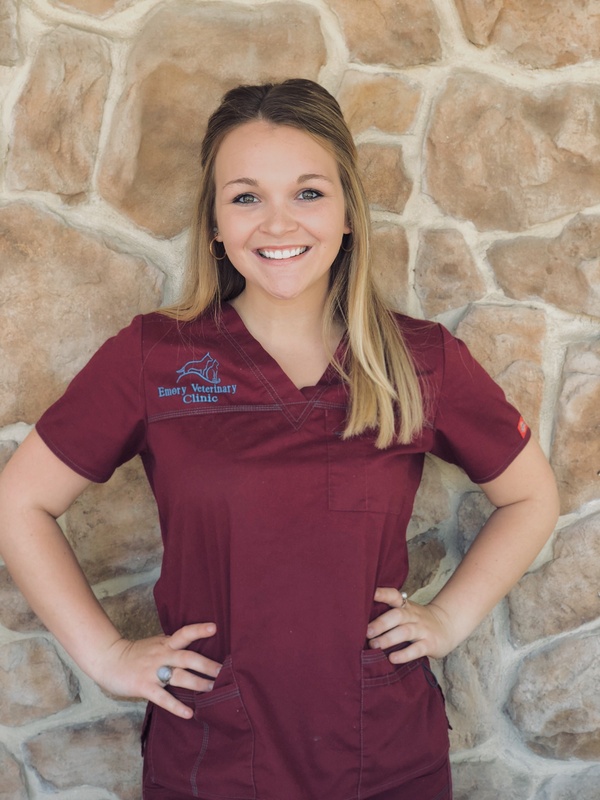 She has been passionate about animals since she was a child and hopes to continue to further her knowledge about veterinary science and business management. Lexi enjoys other people’s fur babies almost as much as she loves her own! At home Lexi has an energetic and loving chocolate Labrador named Brigsby, a sweet smaller black and white Boston terrier mix named Boujee, and a newly added feisty feline, Miss Cardi C. Lexi spends her free time outdoors, crafting and spending time with her friends and family. 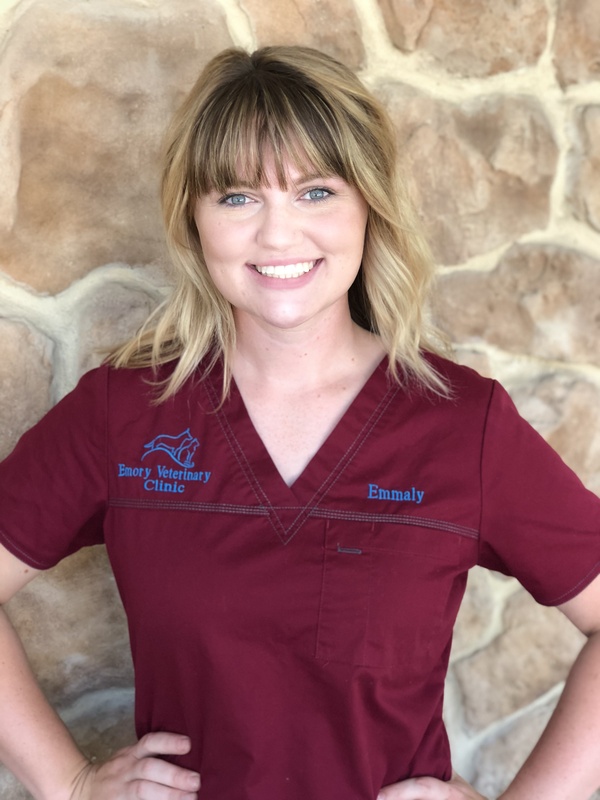 Emmaly is 21 years old and has been with the EVC family since December of 2017. She is a licensed hair dresser so when she isn’t at the clinic, or helping take care of her family’s cattle, she’s in Sulphur Springs doing hair! Emmaly lives in Rains County with her three very busy cow dogs, Hank, Gypsy, and Kaine. Her passion for veterinary medicine for both large and small animals is evident daily. Currently she aspires to further her education in veterinary medicine by getting her formal technician training and license. Meet Shawna Darland! Shawna is 27 years old, and has been part of our EVC family since April 2018. She has two wonderful children, a supportive boyfriend and a small hobby farm that take up all of her free time! She has always had a love for animals and is very excited to be in a profession where she gets to work with animals all day. Shawna is also looking forward to expanding her knowledge in veterinary medicine and business as a technician. Meet Brynden Andrews! Brynden is the grandson of Dr Andrews and has been working with the EVC family for the past 3 summers. 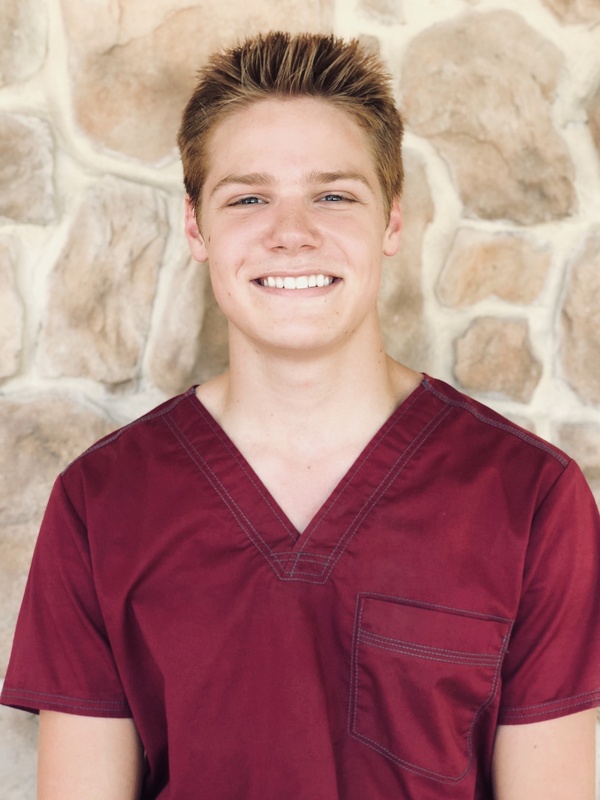 He graduated number two in his senior class from Como High School, and in August he will be going to Texas A&M to begin his career in Veterinary Medicine. At home Brynden enjoys spending time with his friends and family!